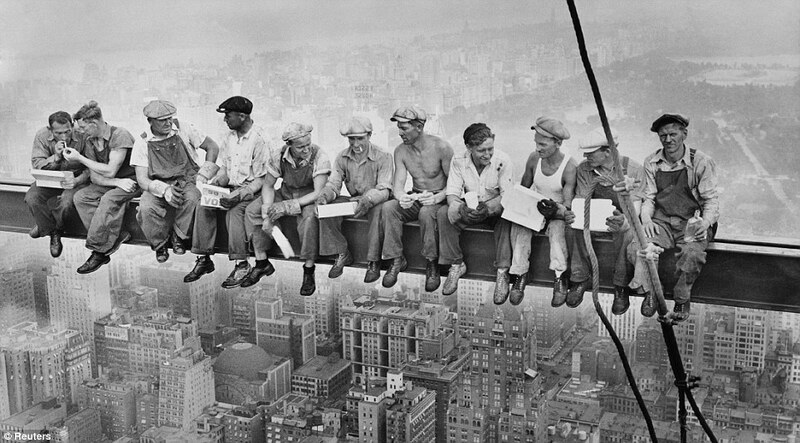 We're pretty sure you all know for the "lunch atop a skyscraper" photo, one of the most popular photos from the past century, taken by Charles C. Ebbets showing eleven workers sitting on the steel beam right on top of the Rockefeller Center in New York back in 1932. 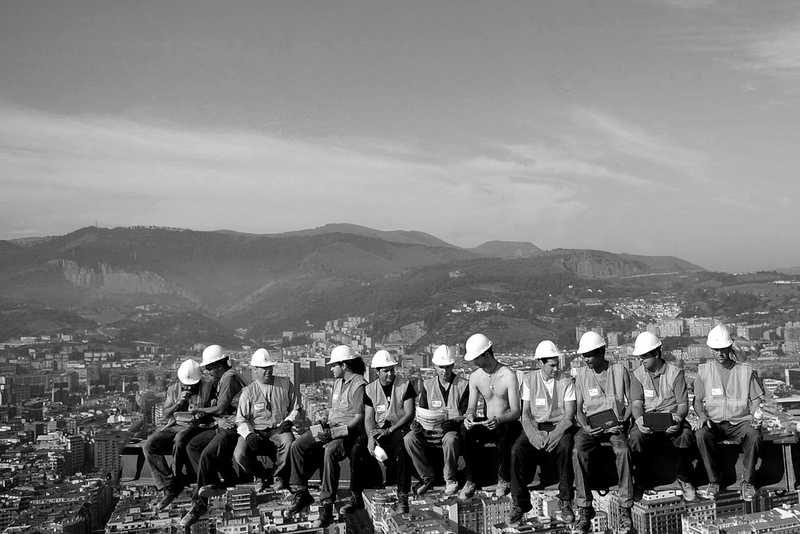 But have ever heard of newer versions? 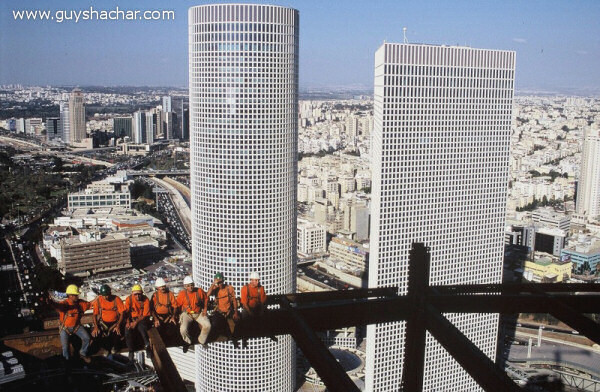 Skyscrapers are popping everywhere like crazy these days and often workers have to tie their balls and walk on the steel beams hundreds of meters in the sky in order to tie those beams together and make architect's design reality. Some folks got inspired by the famous "lunch atop a skyscraper" photo and decided to do the same and be part of that historical moment. 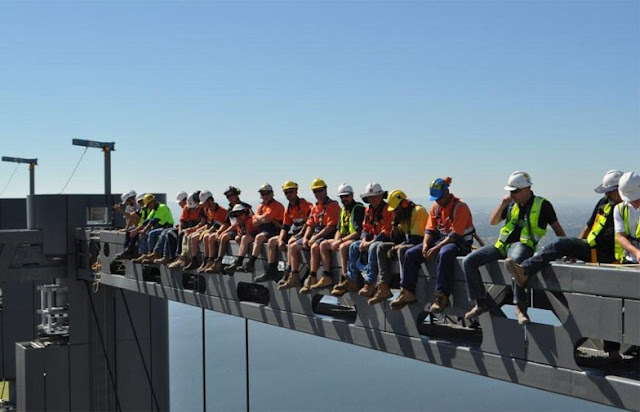 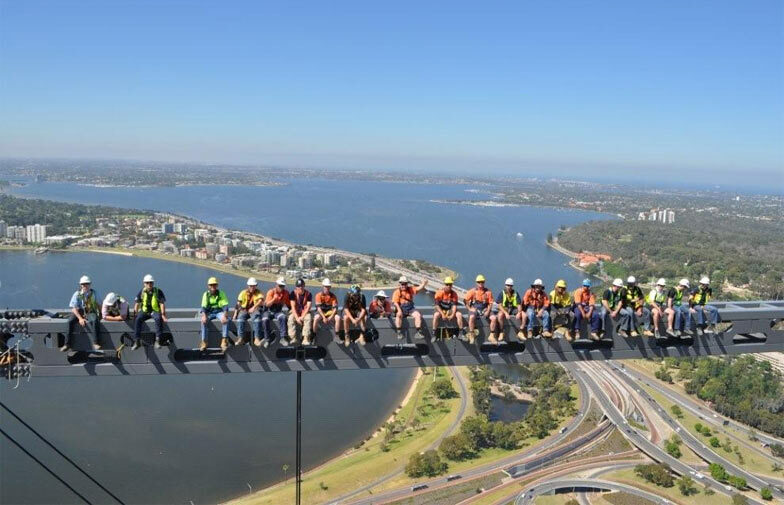 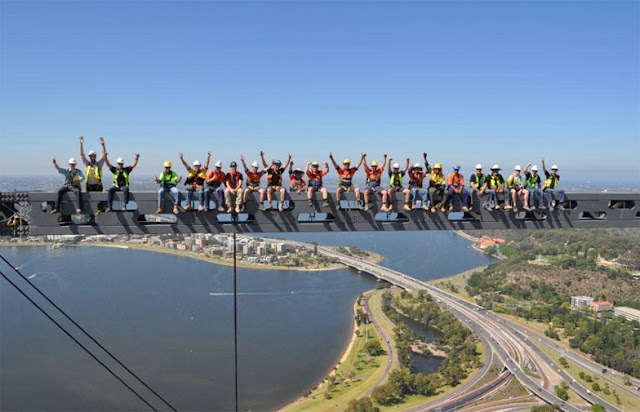 Take a look at those few projects where workers sat down and said cheese to the photographer. 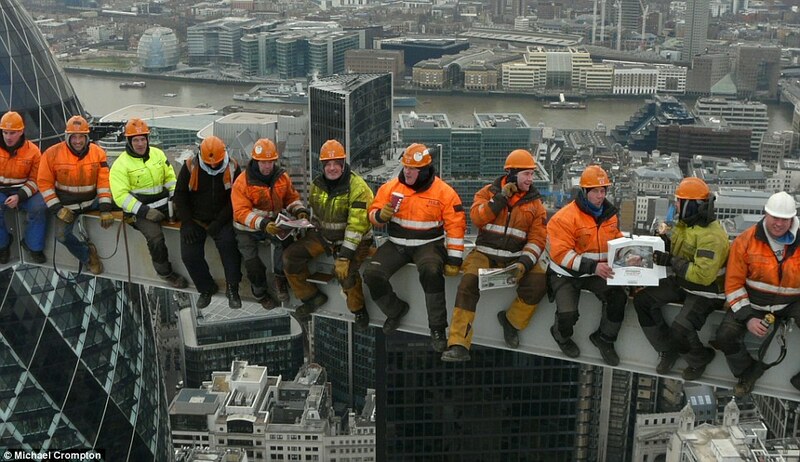 In 2011, workers posed for a photo on the Heron Tower in central London, 230m (755ft) above the ground. They were all tied with the safety harnesses of course. 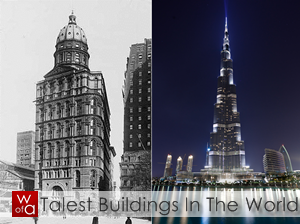 And without whiskeys unlike those guys back in the 1932. 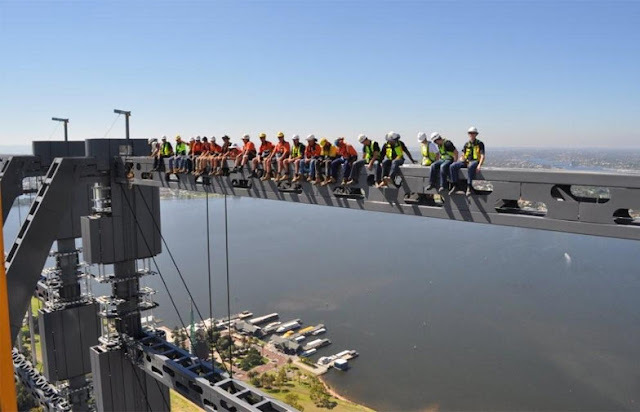 City Square Tower in Australian Perth city was another skyscraper that got its workers posing 234m in the air. Torre Iberdrola in Bilbao, 11 workers pretending to eat their lunch 41 floor above the ground. 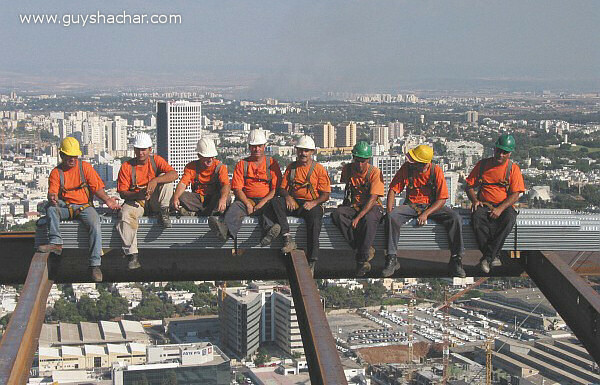 The last one, "Koor Metals" iron workers sitting on top of the skyscraper in Tel Aviv.